The May 19 election is widely seen not just as a contest for the presidency, but also for the political trend in the post-Khamenei period. In July, the Supreme Leader Ayatollah Ali Khamenei will turn 78. He is likely to retain the top position in the Islamic Republic until his death. Succession is a taboo topic in Iran, and Khamenei does not have a clear protégé. But one cleric thought to be a potential successor, Ebrahim Raisi, is running for the presidency, which could be a stepping stone to becoming supreme leader. The hardliner poses a challenge to incumbent President Hassan Rouhani, who is backed by reformists and centrists. The supreme leader’s comments on the election have highlighted differences with Rouhani, especially on the economy. Khamenei has stressed the importance of self-reliance and boosting domestic production while Rouhani has promoted international trade. "The candidates should promise to focus on national capabilities and domestic capacities to resolve the economic issues ... rather than looking abroad," Khamenei said on April 25. Although Khamenei has said that he will not endorse a candidate, Raisi is widely seen as his pick. He serves as Custodian of Astan Quds Razavi, an influential position responsible for overseeing and maintaining the shrine of Imam Reza in Mashhad, the most holy site in Iran for Shiite Muslims. Raisi’s appointment to the position indicated the support of the supreme leader. In the run-up to the vote, Khamenei has encouraged widespread participation. 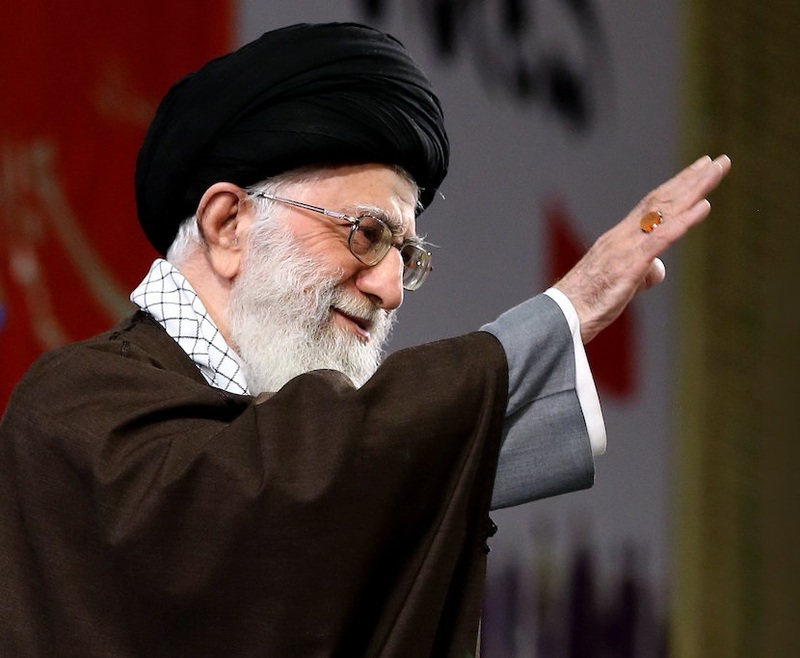 He highlighted elections as one of two pillars of Iran’s “religious democracy.” Khamenei also advised Iranians to be vigilant against attempts by the West, especially the United States, to undermine the election. But he warned citizens against questioning the results of the election. “Whatever the result of national elections is, it will be valid and legal,” he said in a speech. On May 10, Khamenei warned candidates about becoming too confrontational. If they “turn immoral and with their spoken words give hope to the enemy, then the elections will turn to our disadvantage,” he said. The following are excerpted remarks by Khamenei on the poll. "The candidates should promise to focus on national capabilities and domestic capacities to resolve the economic issues ... rather than looking abroad,"
“If this is achieved—which God willing it will happen by His grace, despite how the enemies and the mainstream media tries to spoil the results of the elections, in some way or another— if the Iranian nation continues to take part in the elections with vigilance and awareness, as they always have, then a massive, lucid election, coupled with enthusiasm and eagerness, as well as health and safety will be held, and this will be a significant resource for the country, which will safeguard it." “As for the issue of elections, dear brothers and sister, elections are very important in our country. Not only presidential elections but also parliamentary and city and village councils elections are the same. Elections are one of the two pillars of religious democracy. Religious democracy stands on two pillars. One of these two pillars is the people’s votes and elections. We boast to the whole world thanks to elections. In order to strike the people of Iran and the Islamic Republic, the enemies ignore and accuse our elections. This shows that elections are every important. Pay attention! If it is necessary to chant this slogan, you should rather say, “I will never surrender to not having elections!